Hey Style Lovers, happy Wednesday. It’s all about Pre-fall trends today! But before we get into that, can we talk about the fact that it’s August 30th, where did the month go! I have been so busy this August and this week is no exception. Working on a few amazing projects right now, which have occupied a great deal of my time. I barely got this post done to make my deadline. Regardless of how busy or overwhelmed I am, the show must go on! In today’s outfit of the day, I highlight some major pre-fall trends that you NEED in your wardrobe right now. 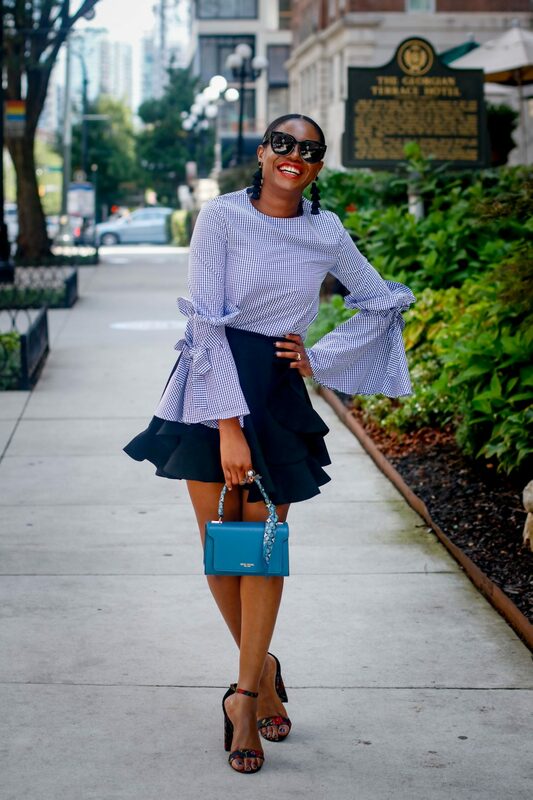 Ruffles, bell-sleeves, and floral print are all major trends for fall and will be highlighted in my new fall/winter Ebook coming out in September (check out my first fall/winter book HERE). I successfully paired all three trends together in this look by using silhouettes and color to create a seamless flow from one piece to the other to make the over all look work. 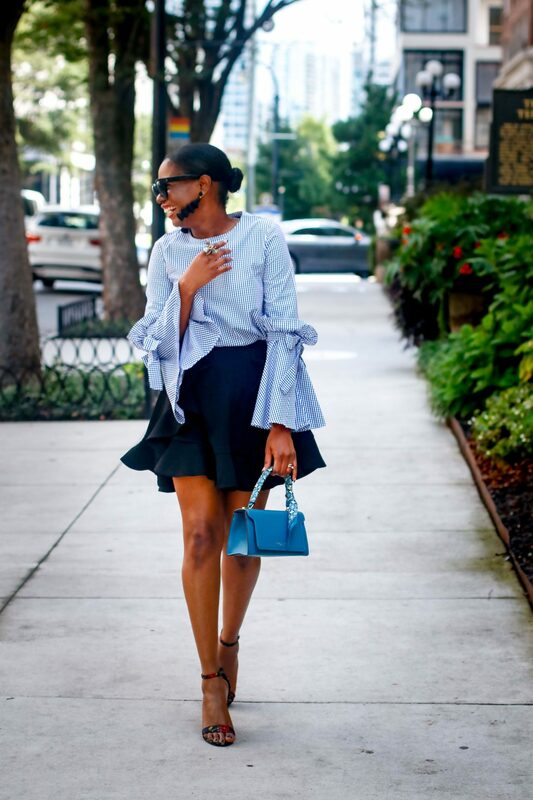 The bell-sleeve is really an exaggerated version of a ruffle and pairs perfectly with the ruffle details located on my skirt. 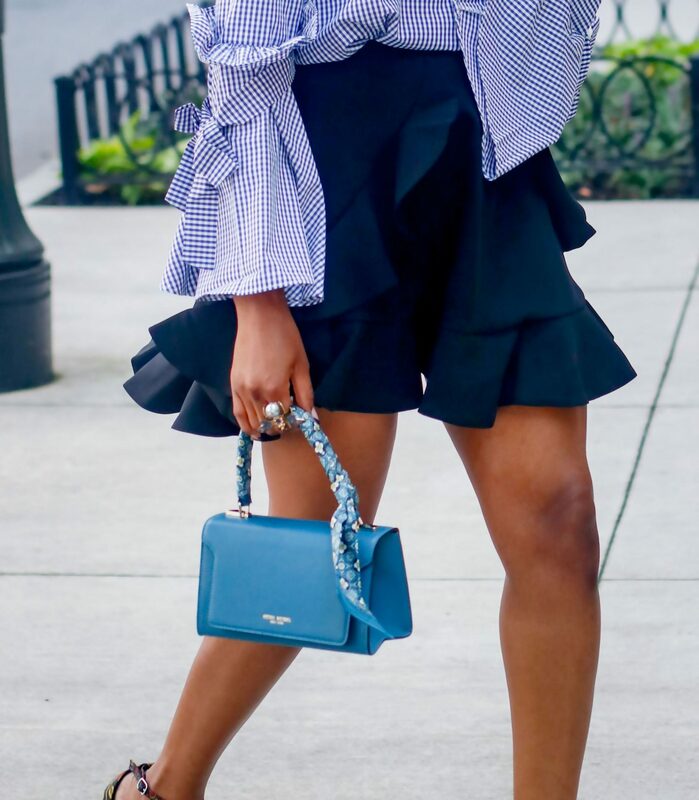 The black hue of the skirt helps introduce my black floral print sandals, statement earrings, and sunglasses to the look. 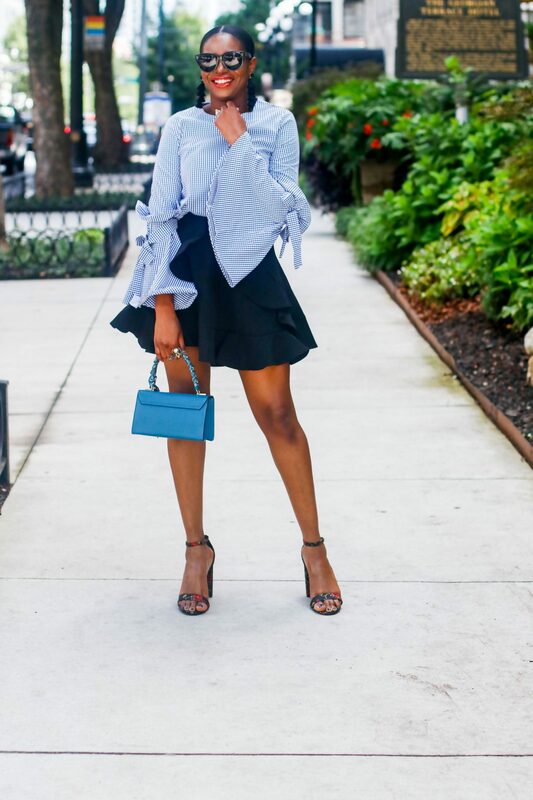 Lastly the blue hue of the blouse pairs well with my blue bag, and completes this stylish pre-fall look. This outfit is perfect for pre-fall, and you can recreate the look by shopping this post. 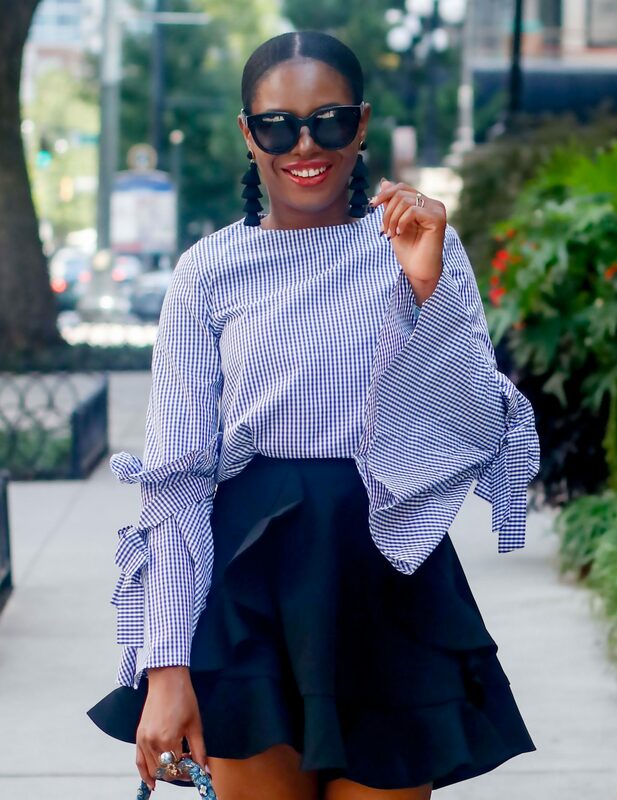 By clicking on the links located on AwedbyMonica.com to shop, you support the blog, and ensure the delivery of great content each week. Thanks lovelies, and have an amazing Wednesday.